Interview with Tammy Alford, a keto athlete who’s adjusted keto to work for her training schedule, health, and wellbeing. 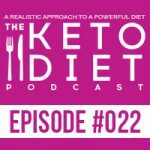 Leanne Vogel: You’re listening to episode #22 of The Keto Diet Podcast. Hey. I’m Leanne from HealthfulPursuit.com and this is The Keto Diet Podcast where we’re busting through the restrictive mentality of a traditional ketogenic diet to uncover the life you crave. What’s keto? Keto is a low-carb, high fat diet where we’re switching from a sugar-burning state to becoming fat-burning machines. If you’re in need of keto recipe food prep inspiration, I’ve prepped a free seven-day keto meal plan exclusive for podcast listeners. The plan is complete with a shopping list and everything you need to chow down on keto for seven whole days. Download your free copy at HealthfulPursuit.com/ketomeal. I have one awesome thing to share with you this week. It’s something I’ve been obsessed with for a couple of months and it’s about time that I share it with you. I’ve been cooking sausages in the morning, like the little breakfast sausages that are like gluten-free and sugar-free and all the things, and I cook them up and then I wrap them in cooked ham or bacon and I then cut them in half and sandwich them in between a cucumber that usually has avocado. So, they’re like little baby sandwiches of sausages that are wrapped in bacon or cooked ham and sandwiched with cucumber and sometimes I add avocado or if I want to be really crazy and I have time on my hands, I will marinate some cucumbers in olive oil and some vinegar so they get really flavorful and I’ll use that as a sandwich, and that’s been my breakfast for quite a long time now. But I just had to share it with you. In today’s episode, we are going to be chatting about dealing with fears as you adjust to a keto diet, especially as it relates to people that are training and if they’re worried about their performance. The effect that keto has on athletic performance, the signs of overtraining, and what happens to ketones during a carb-up when you’re using those carb-ups for your workouts and all of the good stuff. The show notes for today’s episode can be found at HealthfulPursuit.com/podcast/e22 and let’s hear from one of our awesome partners. So, I have one announcement. I will be headed down to California for a couple of days. My sister’s going to be with me again for Expo West. This is our third annual visit to Expo West…pretty excited about it, we always enjoy ourselves. We get to chat with some really cool companies, some of my favorites. All of our partners are there. This is always a good time. So, if you are headed to Expo West and you want to get together and hang out at the show, say hi, I would love to see you there. Just message me on Instagram or Twitter or Facebook and I would love to watch for you and I would love to hang out with you. If you have an awesome idea for a podcast episode and want to submit praise over and above your review, which you can leave by going to HealthfulPursuit.com/review, you can reach meinfo@ketodietpodcast.com. Today we have a wonderful guest sharing her keto experience and how she adjusts keto to work for her training schedule, which is quite impressive. So, our guest today is Tammy and she’s 56 years old. She’s married for 36 years. In fact, her anniversary is today, and she has four amazing grown children and six sweet grandchildren. She’s a 14-year kidney cancer survivor and has one kidney. Tammy is a lifelong recreational athlete and she played softball and volleyball in high school, played basketball and softball in college. She swims, runs, bikes, plays golf and pickleball, which is quite an interesting sport. I highly recommend you check it out because it’s awesome. And she practices Pilates and yoga on a weekly basis. She began her high-fat, low-carb diet in June 2016 on her functional medicine doctor’s recommendation to help heal the high inflammation in her body that was negatively impacting her lungs, kidney, and to help her leaky gut. So, without further ado let’s cut over to the interview. Hey, Tammy. How are you doing today? Tammy Alford: I’m doing great. Leanne Vogel: Awesome. Thanks so much for being on the podcast. For those listening that may not be familiar with you and your story, why don’t you start off by telling us a little bit about yourself? Tammy Alford: Well, I’m 56 years old. I’m married. Today is actually my 36th anniversary. Leanne Vogel: Happy anniversary. That’s great. Tammy Alford: I have four grown children. I have six grandchildren and I’m a very active person. I work part-time. I’ve gone down from full-time to part-time and I work every afternoon and I workout just about every morning. That’s pretty much my life right now. Leanne Vogel: That’s amazing. How did you find keto? What’s the story behind that? Tammy Alford: I have a significant health history in that I’m a kidney cancer survivor, so about 14 years ago they diagnosed me with kidney cancer and I had my kidney removed and that’s been a long journey. Through the course of that other health issues have come along and I just wasn’t satisfied with my conventional medicine doctor. I just wasn’t getting a lot of answers. I was having a lot of symptoms. My asthma really flared up badly couple of years ago. I was just having all kinds of female issues, lung issues, gut issues, and all anybody wanted to do was just put me on medicine. It just didn’t seem like anything was helping, so I started researching functional medicine doctors and decided to make a switch. That was in June and there was a whole history of some events that led up to that switch, but it was really important for me to make a change because my kidney wasn’t functioning fully and there were just some issues that came up and my conventional doctor just wasn’t dealing with them well. I found this awesome functional medicine doctor and he chatted with me for about two hours on our first visit. He just listened and it was such a different experience for me. He looked at me after he heard everything about lungs and my kidney and my gut and he was just like, “Your body is full of inflammation. If we can just get rid of your inflammation so many of your symptoms will go away and I guarantee your kidney will begin to function better. You’ll breathe better. Your gut will heal.” And so he is the one who introduced me to the keto lifestyle and the keto way of eating. That’s the way he lives and he’s an athlete. He understood my concerns about my kidney and eating this way and how it would impact me. So, that’s kind of how I got into it…my health drove me there and my doctor lives that way and eats that way, so that’s how I got connected to keto. Leanne Vogel: How did it feel when he was like, “There’s this keto thing. You should give it a try.” What was your eating before then and did you have, like, I know for myself I was like, “How am I going to not eat carbs?” Like, that’s crazy to me. Because I was eating really high-carb, low fat. That was just the way I was trained to eat. My weight had ballooned and even though I was running and swimming and biking all these hours, my weight wasn’t going anywhere. It was just fascinating. I was a little skeptical at first that this would work, but he made me promise to try it at least for 30 days and then get back to him and see how I was feeling. Leanne Vogel: What was that 30 days like? Tammy Alford: The 30 days was, I thought, okay, this is going to be really hard, but it wasn’t. The other issue that came up too was I did all those food tests to analyze my gut and I came up with about 16 different things that were off the chart for me being sensitive to and causing issues. So, not only was it jumping into keto, but it was also eliminating things from my diet that were causing me incredibe gut issues. I was highly motivated on that issue because I wanted to get my gut better. That was an easy part for me. The high fat just resonated with me. I would say by day two, my gut issues were gone. My stomach didn’t hurt anymore. I wasn’t in the bathroom for hours. It was just amazing. High fat just really resonated. I was like, I’m eating fewer calories, but I’m still satisfied. So, it’s pretty amazing. I was a believer, I think, by day three. Leanne Vogel: Wow. That’s quick. What was the experience like with while you were adapting and training; did you find that it took your body a little bit? Did your performance go down at all while your body was adapting? Tammy Alford: Yeah. You know, that was very interesting because I started, he gave me books to read. He wanted me to read Finean Bullough’s “The Art and Science of Low-Carbohydrate Performance and Low-Carbohydrate Living”. So, that’s kind of where it started. I also had read a book called “Smart Fats”. A lot of this had to do with athletes and being a low-carb athlete. At first, I just thought, “Okay. Everyone says you need to just take it easy. Not really push yourself at least for the first couple of weeks.” That’s what my doctor had told me. Luckily, when I was starting this way was off-season for me. I wasn’t training for anything. I was just recovering from a hysterectomy, so it was easy for me to be dialed back in my activity because that was just natural. When I was able to, it was about two weeks into keto, it just hit me. Wow, I am totally, I could go ride 50 miles on my bike. I would have total energy to do that. But the first couple of weeks it was a little sluggish. It was, “Yeah. I’m just not going to push myself today. I’m going to go ride, but I’m just not going to worry about my heart rate. I’m going to go run, but I’m just not going to worry about it.” There was definitely a little bit of a lull the first two weeks, but then for me it was after that the light kicked on and I had total energy. Leanne Vogel: That’s so cool. That’s so good. It sounds like you had quite a few imbalances and frustrations with your health. Did you do any blood work before and after? Did you go through that with your doctor at all? Tammy Alford: Yeah. I did a lot of blood work because they were really concerned because of my conventional medicine doctor had continually been tracking me because I had to do all these things for being a kidney cancer survivor, so for my yearly checks they had been telling me for a zillion years that my kidney was functioning fully. Then when I went to do my hysterectomy, the anesthesiologist almost refused to do the procedure because my kidney wasn’t functioning fully. It was kind of a shock. So, I had to do a lot of blood work as I began keto because they wanted to check to see what my kidney was doing because that’s my goal and that’s my doctor’s goal. So, I did a lot of before and after tests and my kidney continued to improve every two months that I’ve been into keto. My kidney function’s just improving. That shows that the inflammation is decreasing. Leanne Vogel: That’s so good and so good to hear and really scary too that, I mean, although it took you getting that surgery and that anesthesiologist kind of saying, “Hey, you know, maybe it’s not as good as you think,” even though that was probably pretty scary at the moment. Pretty great that you were able to know that. Tammy Alford: Yeah. I was amazed that I was able. It was pretty shocking. I went and had a conversation with my conventional doctor before I switched and she goes, “You know, I just don’t understand the issue. That’s been your number for five years and it seems like it’s in the normal range.” But according to other doctors, that wasn’t the normal range for me. It should have been double that. Tammy Alford: Yeah. And all of these things that I was doing…overtraining, not eating the right foods. They put me on gut medicine that can cause long-term kidney failure. They did all these things conventional medicine-wise that really were doing nothing to help me. I am so thankful that I got connected to a doctor who got me on the keto pathway, but you know, Leanne, as I got on that journey, it was about a month into it, I just started thinking, “You know what? All these books I’m reading are all about male athletes? Where’s the female voice in this keto journey?” And I just Googled, I think, female keto and I found you. Tammy Alford: I know. I was just like this is it. This is it for me. I started reading your books and things started clicking more and my doctor had said, “Be prepared. Some women have a hard time maintaining a ketogenic eating style for very long.” I just didn’t understand what he meant by that, but after I got into it and started getting familiar with other women on the Facebook page, I could understand that because we have different needs than men do. It sounds like at first you were totally in with the keto thing. You said the first three days were like, “Yes. This is it.” How has keto changed for you from June 2016 to now? How is it been adjusted? How have you tweaked around with things to make it work for you? Tammy Alford: I’m a numbers wonky kind of person. I love to crunch numbers. I love to track. I love to test. I love to do all those things. When I first read Fat Fueled I was like, yeah, no, I just can’t throw away MyFitnessPal. I think that’s one of your sentences in there. It’s like, “No. No. No. I can’t, I can’t do that. I’m not ready yet.” I tracked for probably at least a good three months, maybe closer to four because I had just been doing the high-carb thing for so, I just needed to know really what I was putting into my body. That kind of gave me a little bit of comfort. It’s to like, oh, yeah, I’m eating pretty much the same level of macros every day, different foods, but it’s all coming out numbers-wise the same. Testing, it’s like, “Okay. So that, you know, might have raised my glucose a little bit, but it’s back down. In keto my numbers for being in ketosis were right on.” I just needed that to reassure me, I think, that everything was going well. Then I had another round of blood work and another DEXA scan about four months into keto and at the four month point I had lost 10 1/2 pounds of fat and I had gained 2 1/2 pounds of muscle. I was feeling great. I was very comfortable, I think, in what I was doing, so I decided, all right, I’m not going to track my macros anymore. I’m just going to eat and I started journaling how the food made me feel more than my numbers for the day. That was a huge change. I got to be very comfortable doing that. I really love that now because I’m not tracking macros as much anymore, but I found that I struggled, Leanne, with when I don’t pay attention sometimes I don’t eat because I’m not hungry. Then I add up my calories and say, “Oh my gosh, I’ve only had 800 calories today.” It’s kind of a freak out because oh wow, that’s starvation mode. I can’t go there. So, I’m still in that I’m adjusting to trusting my body that on the days that I’m hungry I do eat more and the days that I’m not hungry I do eat less and some days I eat a lot more fat. Sometimes I have most of my fat calories before noon because I just want them. I’m not as rigid at my seven, eight-month point right now. I’m not as rigid and I’m more comfortable in just listening to my body. I have to thank you for that because I never would have done that. Ever. Leanne Vogel: That’s so great. That makes my heart so, so happy because I remember, especially with Fat Fueled, as I was writing I’m like, “Are people just going to laugh at me? Like, I don’t know. Are people going to even, like, pay attention to this? Are they going to think I’m crazy?” So that makes me really happy that you got the message. Even if it’s just one person who read the book and was like, “Okay. I can totally do this.” That makes me so happy because it’s so much more freeing. Tammy Alford: It is, but you know it’s scary at first for a person who wants to fit in that box of “Okay, these are my limits and this is going to keep me,” because I’ve gotten so used to not trusting my body and to restricting. That was my life for years. This is a new journey for me. Journaling, to me, has really been helpful and I love the journal things that you had, kind of exercises you had in Fat Fueled. That really helped me a lot. I still go back to those and still journal that was because I just want to get this ingrained so it just becomes more natural. Leanne Vogel: Totally. I mean, it sounds so simple, like, when you’re hungry just eat, but it’s not. It’s not. Tammy Alford: It’s not. Oh my gosh, it’s not. Leanne Vogel: More on my interview with Tammy after this message from one of our podcast partners. My friends at Manitoba Harvest are now partners of the podcast. Manitoba Harvest, the hemp-based food company, has just added a new product to their already amazing line of scrumptious, naturally low-carb hemp products, toasted hemp seeds. They are whole hemp seeds lightly toasted and seasoned with either sriracha seasoning or sea salt. They’re crunchy super snacks. Perfect right from the bag. Each third cup serving is 2 grams of net carbs and 18 grams of fat. I enjoy bringing a baggy along with me to the movies or sprinkling a handful on salads. With 13 grams of omegas in each serving, you really can’t go wrong. Get 15% off your Canadian or US based Manitoba Harvest order by going to HealthfulPursuit.com/hemp and using the coupon code Hptoasted. That’s HP t-o-a-s-t-e-d for 15% off. Valid until March 31, 2017. I know you’re gonna love ’em. Leanne Vogel: It sounds like you completely changed your attitude around feeding yourself. How has that, or has that, same attitude of when I’m hungry I’ll eat, don’t worry about the fat calories, just eat fat when you need fat, how has that translated over to your training because you mentioned overtraining and the fact that maybe you were overtraining before? How has that affected it? If anything? Tammy Alford: So, two things happened. When I got my blood work back in November and when I got my DEXA scan back, it showed that when we did the DEXA scan in June I didn’t do the bone density part of it and in November I did, so it showed that I have osteopenia and also that my cortisol was higher than they wanted. My doctor had to have the talk with me about dialing back intensity because my thing is I’m not under stress. If that cortisol test hadn’t come back high, I never would have known it because I sleep like a baby. I just don’t have those symptoms of adrenal fatigue or just being super-stressed. My doctor politely explained to me that stress can be physical, emotional, mental, and spiritual. When I work out, when I push through, when I try to exert myself over and above what I should, my body doesn’t know that I’m having that kind of stress response from that versus being upset at work or having an emotional day. It’s all the same kind of response. His concern was that I was putting myself into this stress mode from my workouts and that I need to dial that back, especially with the osteopenia, because cortisol leaches the calcium from our bones. That has been a big change for me in that I am dialing back my intensity. I’ve read “Primal Endurance” and I’m going to be trying to work at lowering my heart rate in going into this training season. That is a big change that has happened for me since November. As far as my keto diet goes, I used to try and, if I would, they call it brick, if I was going to swim and bike or bike and run or swim and run, I would try and eat a handful of grapes or two in between those two activities just to refuel me, but then I started to like, “Why am I doing that because I haven’t even tested if I need to refuel?” So I quit doing the grape thing in between and I have total energy. I’m finding that I don’t need to refuel in between activities and when I go from lifting weights to pickleball or pickleball to golf or swim, bike, and maybe a run in there too, I’m finding I have the energy levels. But what I do is, afterwards, I’m really hungry and so I eat after I work out and I work out in the morning, so usually my first big meal of the day is before I go to work, so it’s between eleven and twelve. Leanne Vogel: What do you eat after your workout? Tammy Alford: It’s high-fat and it’s veggies, a meat, and some plenty of good healthy fat. Yesterday, I was really hungry for I have this organic nitrate-free, sugar-free breakfast sausage that I’m kind of like in love with and so I just cooked that and I had a huge spinach salad and I threw in some coconut oil on that. That was my lunch and it carried me through ’til about eight o’clock that night. Leanne Vogel: That’s so amazing. I basically had the exact same thing for breakfast this morning. I’ve been wrapping sausage in ham and then cooking it and then sandwiching it in between cucumbers and putting spinach with it and it’s like the best. Tammy Alford: Oh my gosh. That sounds great. What is your training schedule like now because you’re saying you dialed things back a little bit because it sounds like you were overtraining a bit? What does your overall schedule look like? Tammy Alford: For me, I’m going to start training for a race in March and it’ll be a 16-week training. Right now our coach has us on focus months. So January is a swim focus month and March will be a bike focus month and March will be a run focus month. When we’re kind of in off-season, we’re not expected to do our 9 to 11 swim, bike, runs during a week. We dial that back, but I’ll get in like four swims this week. Like this morning I walked two miles at my Maffetone number, lower heart rate, and then I went and I swam about 1200, so not quite a mile and at a very low heart rate. So that was my workout today. Tomorrow I’ll lift weights and I’ll do pickleball. I lift weights about three times a week with my IRONMAN coach and I play pickleball a couple times a week. I do yoga once to twice a week. I do Pilates once a week and then I add in my swims this week. I’ll do a walk-run. I’ll do another walk-run this week. So I’m not sure if that answers your question fully, but it changes, but there’s a lot of activity in there each morning. More on my interview with Tammy after this message from one of our podcast partners. The podcast is partnered with Wolfe Clinic Royal Flora, my choice in soil-based probiotics. Soil-based probiotics are a fabulously effective approach to repopulating the gut. The soil-based organisms are cultured in declayed plant matter, free from pesticides, chemicals and toxins. Unlike conventional probiotics, which have a shortened shelf life, are vulnerable to stomach acid, weakened by processing methods and less likely to reconstitute or colonize the GI tract the level we need it, soil-based probiotics are alive and thriving meaning they colonize along the entire GI tract, rapidly forming into the bacteria your body needs most as soon as it interacts with saliva. Soil-based probiotics from Wolfe Clinic called Royal Flora is my choice in soil-based probiotic and my gut has never felt less bloated. I’m not reacting to foods in the way that I used to. For example, spaghetti squash. I can eat it. No problem. It’s great. US and Canadian listeners receive 20% off when you order from HealthfulPursuit.com/gut. Use the coupon code GUT, all in caps, no spaces, for the 20% discount to be applied to your order. Leanne Vogel: Do you fast at all, or what does that look like? It sounds like the day that you went swimming and you’re talking about grapes, just cut that out and your first meal was then at noon. So, are you fasting while doing most of these activities? Tammy Alford: Yes. I do fast. I do intermittent fasting. But this morning I was hungry when I woke up, so I had my lovely breakfast sausage and spinach again for breakfast before I went and worked out. Usually, I would have a rocket fuel latte and then just go do my workouts and be fine until lunchtime. I do 24-hour fasts also, but I have not been doing that on a regular basis since probably the beginning of January. I was fasting Monday, Wednesdays, and Fridays. 25 hour fast and so my first meal wouldn’t be until the evening. But I’m not doing that so much now because I just want to make sure that everybody’s happy, my cortisol’s happy, my adrenal’s happy, my thyroid. I just want to make sure they’re happy and so I’m only fasting on days when I have a light activity day. Tonight I will carb up. I’ll have like a half a sweet potato with my meal because tomorrow’s going to be a high activity day because I will lift heavy and then I’ll go play pickleball and I might do yoga. That’s three things that I feel like I need to have those carbs for. Leanne Vogel: You’re like the poster child for everything you just said. That’s amazing. I was like, “Yes. Yes. Yes. That sounds absolutely perfect.” Way to listen to your body. It’s so different for different people, but the way that you explained it, it’s so evident that you’re really really tuned in to what your body needs and for example, waking up and feeling hungry first thing and not setting the rule of, “Well, I fast during my workouts. That’s what I do and I don’t care if I’m hungry. I’m just going to go to the gym, do what I need to do, and then I’ll eat.” But today you were like, “Hey, no. I’m hungry. I’m going to eat before I work out.” That’s really cool that your rules have a lot of flexibility really. Tammy Alford: I have to give you credit for that because I have never listened to my body ever, I don’t think. I’ve always been fitting myself into someone else’s box of what a diet should look like or what a training thing should look like. I’m pretty much done with that and maybe that’s the beauty of being 56. I don’t have to worry about what other people think about me anymore. It’s freeing to me that there’s power in listening to your body because I’m hoping that that helps keep inflammation down, that I don’t get injured in this training season. There’s just a lot of good things that come from listening to your body. Another thing that my doctor has me doing, there’s a program called Restwise. W-I-S-E. I plug in my numbers, being a number person, it’s heart rate and how you slept and what does your urine look like this morning and what’s your appetite like. This was produced by a bunch of smart people that were training and observing Olympic athletes knowing that Olympic athletes train so hard for so long to go do this one event every four years or whatever, and if they get injured in the course of that they may not get to compete again because in the four years after that who knows, they may be too old or whatever. It helps you, for people like me that are so used to, “Oh, it’s swim-bike day. I gotta go do that no matter what.” This just helps you to listen to your body again and it gives you these graphs and it just shows you, you know, that you should listen to your body. We don’t do that as athletes. We push through pain. We push through. I’m learning that that’s kind of the worst thing that you can do to yourself. Leanne Vogel: Yes. Totally. Sometimes you have to learn the hard way, so anyone listening who hasn’t gotten to that point yet, maybe this is your sign, of like looking that up. And what’s it called again? Restwise? Leanne Vogel: We’ve all done that. Leanne Vogel: Okay. I love that. Yeah. I’ll have to look it up. I’ve never heard of it before, but any program that says listen to your body, I’m totally down with that. Tammy Alford: It’s really scientific. I mean, it’s really wonky scientific. Leanne Vogel: I like it. I like that you said it was developed by smart people. I’m totally going to use that more. I really like that. I know those listening, you mentioned just briefly that you had half a sweet potato as a carb up, I know like at least 70% of the ladies listening are like, “Yeah, but like what else? Tell me what kind of things you eat in a carb up? How often you do it? How you know that it’s what you need?” Can you answer any of those questions? Tammy Alford: Yeah. Somewhat. So I do receive your balanced meal plans. Tammy Alford: Those make my life so easy. While, again, I don’t follow them exactly. I use those as a template and so like sometimes I’ll have the lunches for dinner or for breakfast. I just kind of play around with it, but usually you have one to two carb ups built into those meal plans and so like I have to talk a little bit about my husband because, bless his heart, he’s one of those wonderful people that he can eat anything he wants and he’ll never put on a pound, but he’s eating the keto lifestyle for his lunches and his dinners because I make those for him. He’s been so happy and the other, I think it was last week, we had jicama and apples in for our carb up dinner and I forget what the meat was, but he so loved that meal. I use your creativity in the meal plan for what I should do in my carb ups. You have a variety. Sometimes it’s fruit. Sometimes it is a sweet potato. I just kind of time it so that my carb up is going to be before a busy active day. Sometimes that’s once a week and sometimes that’s twice a week. Usually, it’s Friday night is our sushi night and so I always have some sushi rice. I always count Friday night as a carb up, which is good because Saturday can be a very active day for me. I usually do it once to twice a week. Especially when it comes to your training, do you find that certain types of carbs have an impact on your training? Like I know when I was training I felt not so good on grains, like white rice or gluten-free pasta, but sweet potatoes worked really well, especially the purple ones and fruits like apples were really good. Do you find that there are certain carbs that make your body feel better? Tammy Alford: Yes, definitely. I have given up grains except for the occasional sushi rice that I do. I don’t do grains. To me, a sweet potato is awesome. Purple potatoes, I love those too. Those seem to resonate well and I feel great and energetic. I don’t feel bloated and like my ketones don’t bottom out because I have a purple potato. Another one, blackberries seem to resonate well with me. Apples, not so much. I’m really experimenting with what feels good in my body. I’m really on a blackberry kick and it’s kind of weird because they’re not in season right now, so they’re totally expensive. Tammy Alford: But I really want them. That is fascinating to me these different carbs, these more starchy carbs can impact us so differently. I could eat jicama all day. I love it. I never would have picked up one if it hadn’t been in one of your recipes. I think it was like a snack in one of the early meals that I had back in the summer. I’m like, “Okay, I’ll go find this.” It was like amazing. Love it. Leanne Vogel: Yeah. See, I can’t eat jicama in large quantities. I can have a little bit, but it doesn’t resonate as well with me. Every time I make a huge batch I’m like, “Why did I eat all those?” It’s so cool just listening and saying, “Apples work really good for me” and you’re like, “Apples don’t really work well for me.” So to really know your body and listen to your body, that’s so cool. You mentioned a little bit about ketones and we haven’t even gotten there yet. Do you test your ketones? Tammy Alford: I do. I almost feel like it’s my little, okay, so I gave up MyFitnessPal, but I’m still going to test. Tammy Alford: Yeah. So. But maybe someday I’ll give that up. I do test my glucose and I do test my ketones. I only test my ketone level probably once a day because those things are so expensive, but as a Christmas present to myself I got the 2017 Ketonix breath ketone meter. I’m having a lot of fun. It’s like this little disco light show on this ketone breath meter. I’m going to start carrying that in my gym bag because I’m really curious to monitor my levels as I exercise and not. It’s going to be just something I’m going to play with and see. Leanne Vogel: I love that. 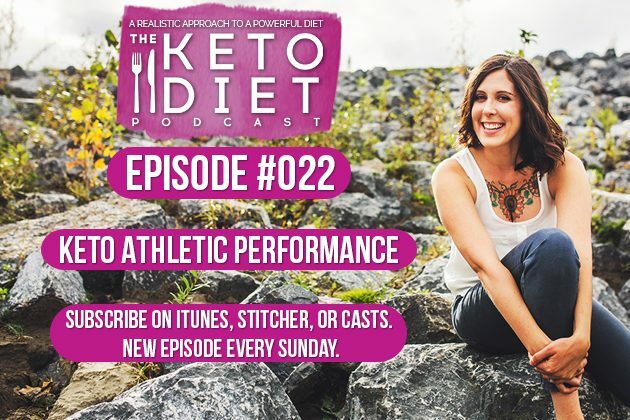 Tammy Alford: I know I’ve read, and even your podcast from this past Sunday, that we don’t have to be in ketosis to burn fat. That kind of is scary to me because I thought, “Oh my gosh, I gotta have a certain level or I’m not burning any fat.” I’m going to have to ponder that for a little bit. Leanne Vogel: Right. I know. Totally. It takes you awhile. Don’t be worried like when you bring your Ketonix to the gym if you test your ketones and your glucose seems to be higher during your workouts and your ketones have crashed. Don’t be worried. That’s like a normal reaction. Don’t be freaking out like, “Oh my gosh. You know, maybe it was this or that or the other thing.” That’s something that happened to me. I brought my Ketonix, mind you this was like the 2014 one so a lot different. I’ve heard the 2017 ones are awesome and pretty bang on, but the one I had was like the first version and it was giving me so many issues, but I was testing it right after workouts and my glucose was high and my ketones were non-existent, but if you wait like 30 minutes, an hour the numbers totally change. That’s really cool that you’re testing it and playing around, especially at the gym. What happens after a carb up or the day after a carb up to you ketones? But anyway, I still think it’s … I’m curious on what it does. Leanne Vogel: Totally. Once you’re keto-adapted, like I don’t remember what I said in the past episode because I probably recorded it a little while ago, but once you’re adapted I did a talk about a year ago with a group of people in Halifax, Nova Scotia and I did this little dance on the floor and it was quite interesting because it was the first time I had done it, but basically what the little dance is is like a little triangle and I go in between different states of fat burning. So the first one, or not even fat burning, but the first one would be glucose-fueled and when you’re adapting the move over to the other side of the triangle is kind of like hard to do when you’re trying to become fat-adapted and you’re like trying to get there. Once you’re there you kind of move over to the next piece of the triangle, which is pretty easy to get to and that’s like pure fat-burning ketosis. You’re in it to win it and you can actually go in between all of these from that little point on the triangle, you can move back and forth to glucose burning a little bit and then your fat-adaption state where it’s a little bit slower and you can go in between these pieces of a triangle, but that tip of the triangle is really where you want to be. In that space, just like what you said, is having a little bit of those carbs, you’re back into ketosis the next day. Like it’s not a problem at all. So the same is true for you don’t have to be in a super, super deep ketogenic space in order to burn fat. I’ve met some people that they’re ketones register basically non-existent, but they’re eating keto. They’re feeling great. They’re losing weight, they crave fat. They aren’t interested in carbs. All the signs are there. It’s interesting to play around with and just another phase to the approach. If you would have heard that back in June you would have been like, No. You can’t even handle that, but step by step as you’re moving along and you’re listening to your body now, you’re training is pretty on point to what your body needs, and now it’s like what else can I play with. That’s really exciting that you keep digging. Tammy Alford: Yeah. I just find, again, I think I’m just so intrigued with listening to my body. Okay, so if I want blackberries what’s really the impact going to be on my ketones after I do them? They have hardly any impact at all. To me that’s fascinating, whereas a sweet potato will, but they come right back. Just getting to know my body. Since I have never done that it’s … Yeah. I like the toy, but anyway, I might not use it as much as I thought I would. Leanne Vogel: Yeah. I’ll be interested to see what you have to say about the Ketonix because I don’t actually know anyone who has the new version and I was hesitant to get one because they’re quite expensive and my last experience with it was sort of like, “Eh, I’m not sure this works.” But I’ve heard from others that it’s like awesome, so I’m excited to hear what you say. Tammy Alford: I do test my ketones by blood and then do the little breath Ketonix and it seems like they’re pretty close. Tammy Alford: As much as they can be. Anything else that, I’m just trying to think of anything else that maybe perhaps we missed about your training or your fasting, your carb ups, or your post workout meals. Are there any other tips or strategies that you have to share with those listening? Tammy Alford: I just feel like all of those signs that you have in your book about being fat-adapted, those are really helpful and to me kind of give me comfort or peace knowing that, okay, I am where I’m supposed to be as being fat-adapted and then just enjoying, I think, the activity I’m having that day and being willing to say I’m not feeling it today. I am going to dial it back a little bit or, wow, I feel great today. I’m going to push it a little harder today. And having the freedom to do that, but yet still eat well. I’m just intrigued with this. I think it’s been so helpful to me. Leanne Vogel: That’s awesome. That makes my heart so happy. That’s so great knowing that you’ve come a long way. Oh my gosh. Your health and your state of mind, even your training program and I’m excited to hear how your race goes this year. Tammy Alford: Yeah. Me too. It’s going to be in Steamboat Springs. I’m probably going to do an Olympic Aquabike, so it’s a mile swim and then 26 mile bike. A little bit easier than what I’ve done in the past, but in a beautiful setting. I’m excited about that. Thank you so much for sharing your story and you mentioned a bunch of different books like Low Carb Performance, Low Carb Living, Smart Fat, Primal Endurance, so I’ll include links to all of the awesome things that you mentioned in the show notes, which you can find at HealthfulPursuit.com/podcast/e22. Thanks again for being on the show. Tammy Alford: Thank you, Leanne. Leanne Vogel: That does it for another episode of The Keto Diet Podcast. Thanks for listening in. You can follow me on Instagram by searching Healthful Pursuit where you’ll find daily keto eats and other fun things and check out all of my keto supportive programs, bundles, guides and other cool things over at HealthfulPursuit.com/shop and I’ll see you next Sunday. Bye.